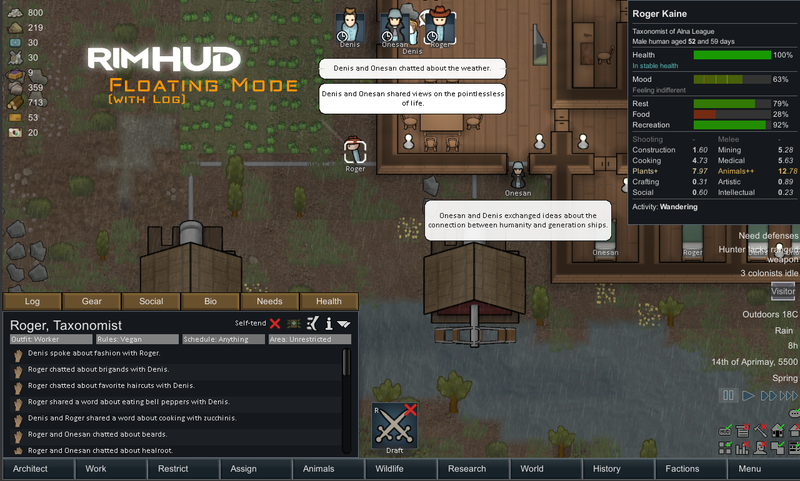 RimHUD is a UI mod that displays a detailed information about a selected character or creature. The HUD display is integrated into the inspect pane which can be resized to fit the additional information. Alternatively the HUD can be a separate floating window and docked to any position on the screen. Visual warnings will appear if a pawn has any life threatening conditions, wounds that need tending or potentially unstable mental states. Knowing your pawns conditions is key for survival. 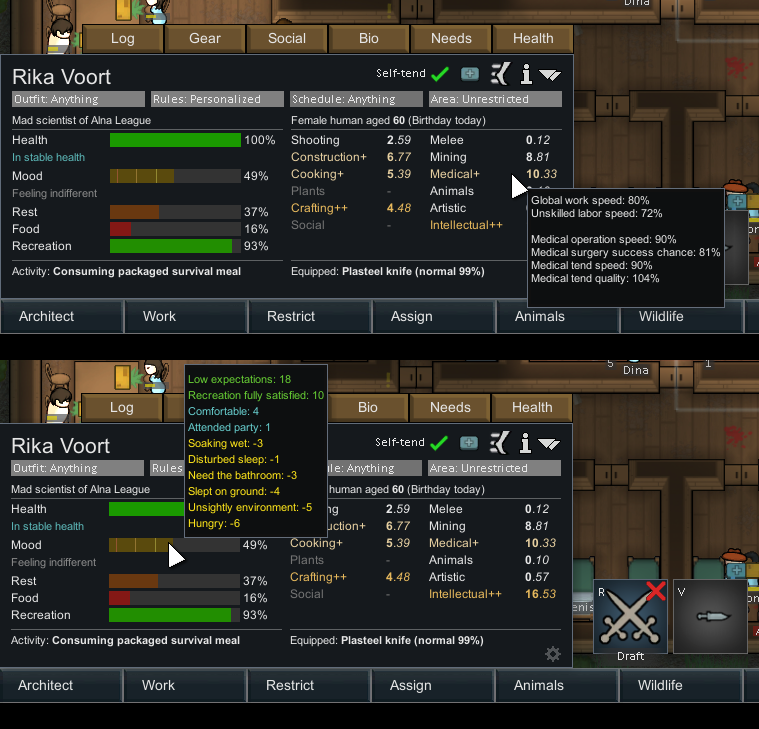 The RimHUD Mod will allow you to see all of their stats at a glance from their main pane, without having to add an extra tab that crowds your interface.